However, this year, I have had several events that required a Halloween treat, so I have had a lot of fun coming up with ideas. How fun is this idea for DIY Jack-O-Lantern cookies? I came up with it when I was perusing my Halloween idea folder and saw DIY magnetic jack-o-lanterns for the refrigerator. Cut each cardstock sheet in half and then cut wax paper to fit over the face parts. Using melted chocolates, trace the face shapes onto the wax paper. I know I just said in my Halloween Shortbread Cookie post that I love Ghirardelli melting chocolates best, but in this case, Wilton works better. The Ghirardelli brand melts to a more liquid state, perfect for dipping, but the Wilton brand melts to a thicker consistency, perfect for piping shapes. I was making these for my son’s class, so I made a lot (26 to be exact)! 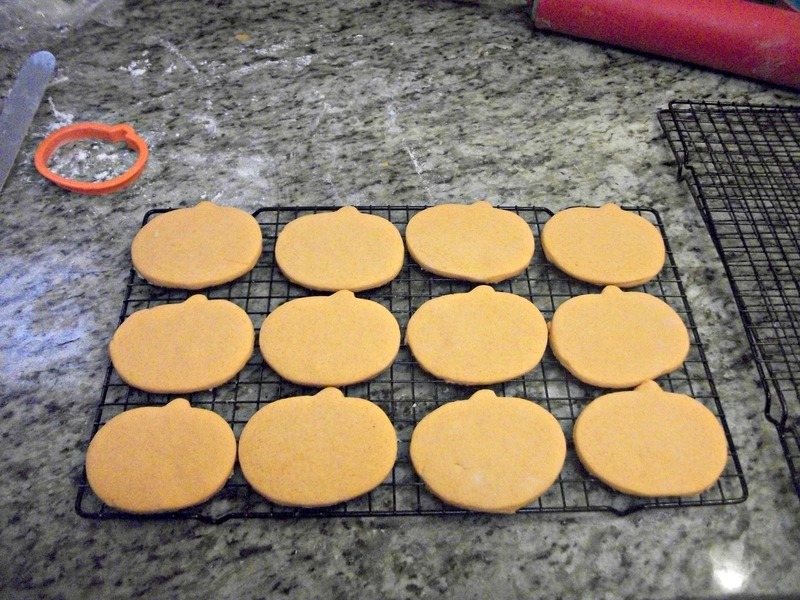 Cut out and bake pumpkin sugar cookies that you have tinted orange (thanks to my friend Olympia for suggesting this instead of frosting them all). Now you are ready to assemble! Place a cookie on the bottom half of the cardstock paper and place inside a 6×8 cellophane bag. I packed mine up in a shoe box for easy transport to my son’s class. Playing with cookies and chocolate is way more fun than magnets!! !